The City of Hapeville invites television, music, and film productions to pursue opportunities provided by our artfully historical city. The City offers guidelines that will ensure an optimal experience before/during filming or recording sessions. Various city properties may be facilitated, so long as the City of Hapeville's primary responsibility to provide service and protection to the general public is not impaired and/or the City of Hapeville is compensated for the time, labor and other costs associated with allowing the use of City of Hapeville's property and facilities. The City of Hapeville is not held responsible for any injury, accident, destruction of property or other occurrence associated with the project. The City of Hapeville reserves the right to refuse access to city property on the grounds of prior reference examination and portrayal of the city in the content of the project. Please review both the City of Hapeville's Film Permit Ordinance (PDF) and City Code pertaining to filming for more detailed information regarding policies and procedures on filming within the City of Hapeville. You may also submit an online request by completing the Film Permit Request Form. The disclosure agreement should be completed and signed and returned to the City of Hapeville with your film permit application and insurance information. 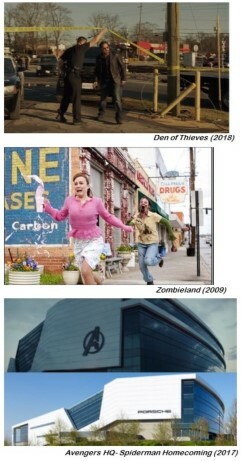 Stills from various productions shot in Hapeville. Additional fee for Film Activity that will “disturb the peace”: $500.00. Reimbursement for use of City personnel: $40/hour, at least four (4) hours. Fees are outlined within the Filming Permit Resolution. There are no fees associated with non-commercial personal use photography at any of our public parks. Parking is limited, but also free of charge within reason. Please contact our Film Liason for more information. 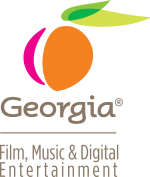 Georgia’s Camera Ready Communities program connects film and TV productions with skilled county liaisons across the state to provide local expertise and support. For more information and a listing of Camera Ready locations, please click here. The City of Hapeville proudly presents the Southern Circuit Tour of Independent Filmmakers. The 2018-2019 Series Screenings will continue on Friday evenings at the Historic Christ Church & Carriage House starting with a Reception with the Filmmaker at 6 p.m. and the Film Screening at 7 p.m. followed by a Q&A with the filmmaker. Free admission and parking. To be redirected to our Southern Circuit Tour page for more information, click here.